This post is guest written by Amanda Lower, a teaching artist for Moving in the Spirit’s Apprentice Corporation for teens. It was Monday afternoon, and my co-teacher (the fabulous Jessica Bertram) and I were finalizing our plans for our teen modern dance class that evening. 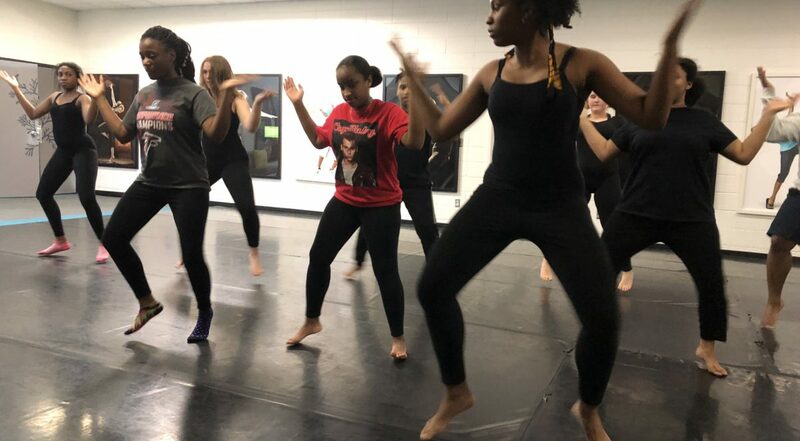 As part of their training, the teens who study modern also take a class on Wednesdays called “Rhythmic Fusion.” They had an African dance showing for their parents coming up that Wednesday, and they wanted to know if they could use part of that night’s modern class to review for their performance. 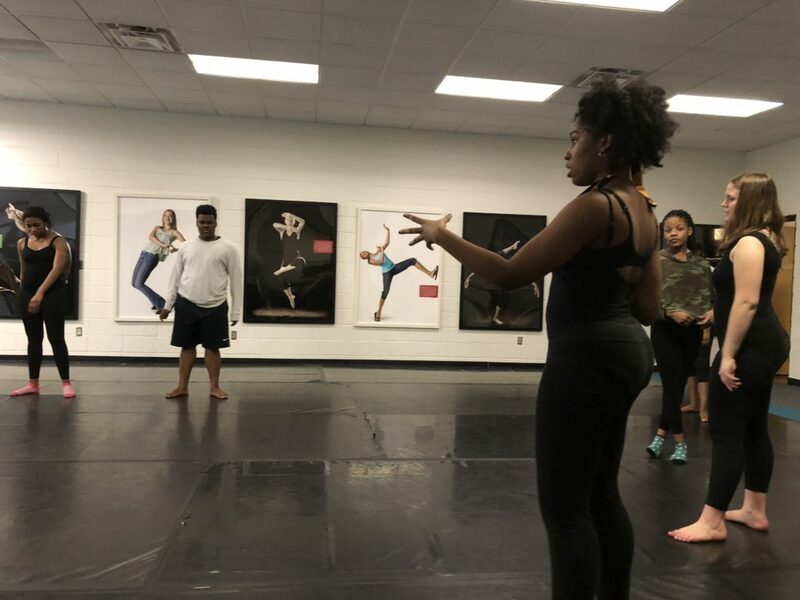 We could have been rigid and stuck with our plan, but Jessica and I saw this for the opportunity it was — a chance to learn about our students by watching them prepare for a performance and dance in a genre that is different from the one we emphasize. What we witnessed was incredibly powerful. Khara, one of the senior students, jumped into leadership. One of her peers, Keilah — who is typically more reserved — assertively joined her in taking charge. They organized the class. Decided how to approach the rehearsal. And then very clearly ran it. They doubled back and reviewed for students who had questions. They found a way to integrate a student who had been absent. They united the class into a cohesive whole. It truly was young people engaged, empowered and thriving. Oftentimes as teachers or as parents, we get caught up in what we can teach or offer young people. But sometimes the best gift we can give is to take a step back and let them lead and learn what they can offer each other. Amanda Lower is a teaching artist for Moving in the Spirit’s Apprentice Corporation. She holds an MFA in dance and choreography from NYU’s Tisch School of the Arts. Her work appears in Thread:Women’s Voices Through Dance this February 8 & 9 at Emory University’s Performing Arts Studio.